Game Preview: How does UVA stack up with Duke in ACC opener? 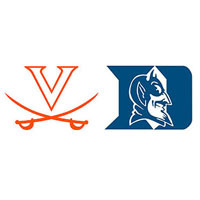 Front Page » Sports » Game Preview: How does UVA stack up with Duke in ACC opener? UVA is a surprising two-point underdog in its ACC opener with Duke set for Saturday at Scott Stadium. The Cavs (3-1) are coming off a bye week that followed up an eye-opening 42-23 win at Boise State on Sept. 22. Duke (4-1, 1-1 ACC), for its part, comes in off a 31-6 beatdown at home to Miami this past weekend. Virginia is riding about as high as it has in years. The program hasn’t had a winning season since 2011, and has had just two winning seasons in its last 11 years. Duke got in the way the last time a UVA team began ACC play looking to turn that trend around. The 2014 team was 4-2 with wins in ACC play over Louisville and Pitt heading into a mid-October matchup with Duke in Durham, before losing 20-13, and going on to lose five of its last six games to finish 5-7. The two teams match up pretty well for this week’s matchup. Duke is perhaps a little more stout defensively, giving up 291 yards and 18.3 points per game, though Miami gashed the Blue Devils for 409 yards in last week’s road win. Virginia gives up 341.3 yards per game to opponents, but the D has been a key in back-to-back blowout wins over UConn and Boise State, whose outputs were enhanced in garbage time (21 of their 41 points and 282 of their 817 yards coming in the fourth quarters of those games). The UVA offense has turned the ball just once in 2017, and quarterback Kurt Benkert has been lights-out, completing 66.1 percent of his passes, nearly 10 percent better than last year, for 1,249 yards and 10 TDs. Wideout Andre Levrone has emerged as the ACC’s top deep threat, averaging 26.8 yards per catch with four touchdowns among his 13 receptions. Duke QB Daniel Jones is completing 59.4 percent of his passes for 1,070 yards and five touchdowns with three interceptions. Watch out for tailback Shaun Wilson, who is averaging 6.1 yards per rush with 412 yards and five TDs on the ground. Placekicker Austin Parker is 9-of-11 on field-goal attempts, with a long of 45. UVA kicker A.J. Mejia is 2-of-3 on field-goal tries, with a long of just 28, and UVA coach Bronco Mendenhall is much more likely to go for fourth down in scoring territory. Duke leads the ACC in sacks with 18 through five games. The Virginia offensive line, expected to be a weak point coming into the season, has allowed just six sacks, and three over the past three games.